The District’s territory was expanded on June 19, 2015 through the passage of H.B. 3405 and well owners with an existing nonexempt use were immediately provided a three-month period to apply for a Temporary Permit. The Temporary Permits were issued in September/October 2015 and provided well owners with an interim authorization to operate a well prior to conversion to a Regular Historical Production Permit. 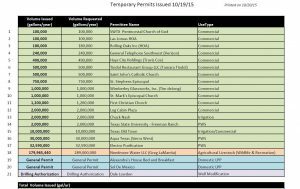 The table below lists all the temporary permit applications submitted and approved. The temporary permits have been processed by the District and applicants will receive further direction from staff on completing the regular permit application requirements. At the 10/22/15 Board Meeting, staff provided an update and summary on the 21 Temporary Permits approved. You can access the presentation which includes a summary presentation on Needmore Water LLC here. 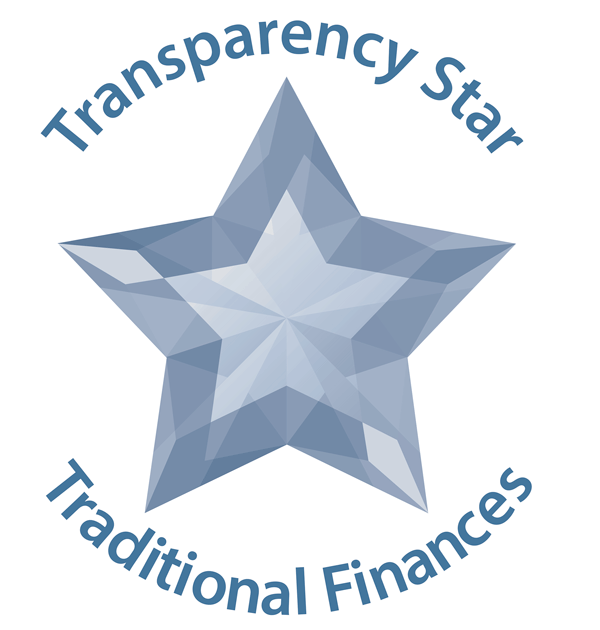 You can also access the additional summary report here. Submitted in person by Friday September 18, 2015 by 5:00pm. Submitted in a dropbox located at the District office no later than 5:00pm Saturday September 19, 2015. 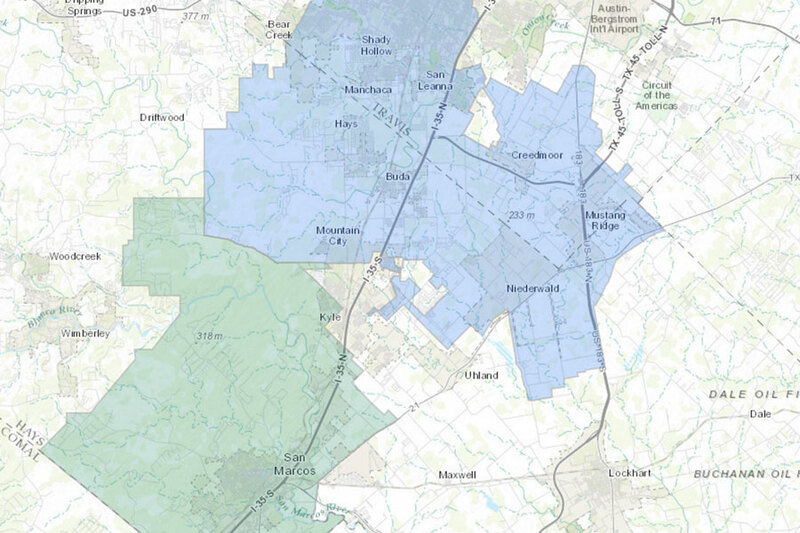 HB 3405 is an act relating to the territory, jurisdiction, and powers of the Barton Springs/Edwards Aquifer Conservation District (BSEACD), including its authority to regulate groundwater produced from Non-Edwards (such as Trinity, Austin Chalk, or alluvial aquifers) wells in Hays County previously not regulated by the Edwards Aquifer Authority, Hays-Trinity GCD or Plum Creek GCD. The Trinity Aquifer is a drought-prone aquifer with limited water availability that serves as the source for area wells and the base flow to area creeks and springs. 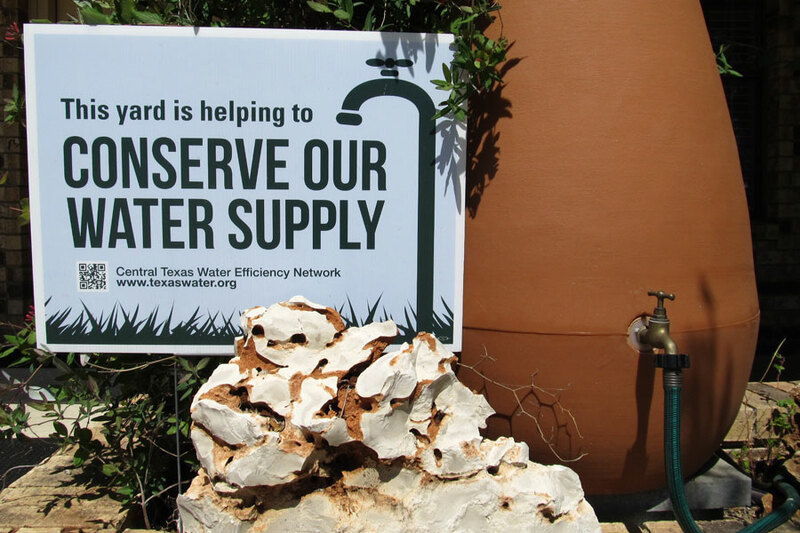 Local and state officials responded to requests from Hays county citizens to pass legislation to manage, conserve, preserve, and protect groundwater resources in this area. 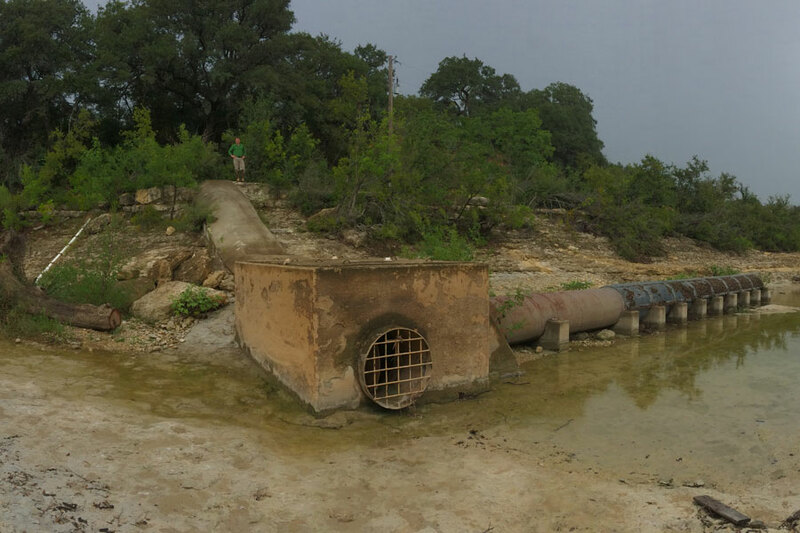 Effective as of June 19, 2015 the bill tasks the BSEACD to manage groundwater production from aquifers other than Edwards (such as Trinity, Austin Chalk, or Alluvial aquifers). The bill also provides existing well owners in this new area with the opportunity to obtain a Temporary Production Permit, before 9/19/15, while a Regular Permit is being processed. 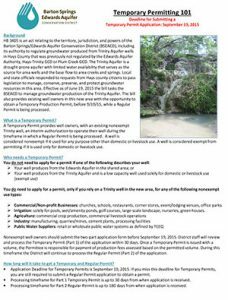 A Temporary Permit provides well owners, with an existing nonexempt well (Trinity, Austin Chalk, or alluvial), an interim authorization to operate their well during the timeframe in which a Regular Permit is being processed. 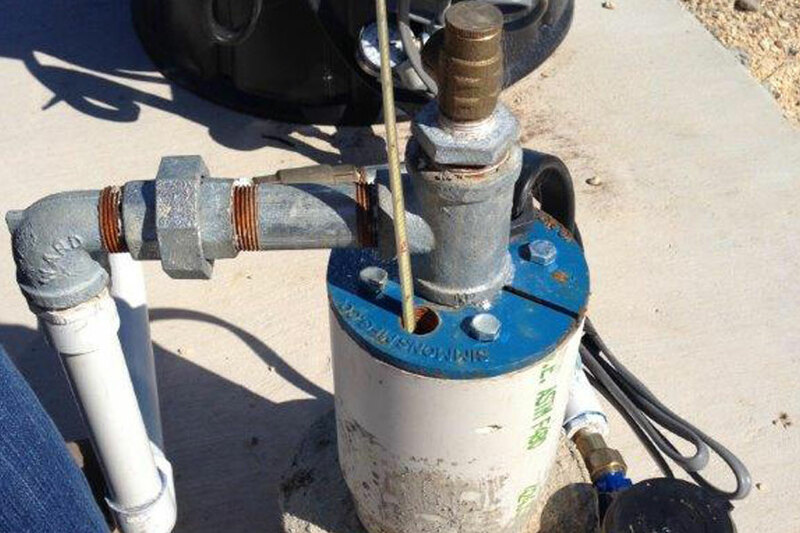 A well is considered nonexempt if it used for any purpose other than domestic or livestock use. 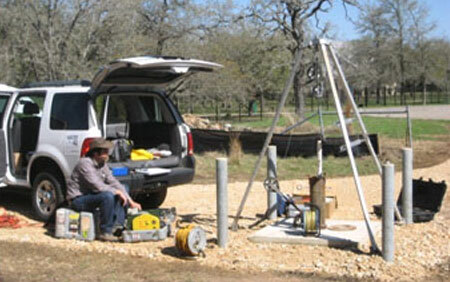 A well is considered exempt from permitting if it is used only for domestic or livestock use. Who Needs a Temporary Permit? 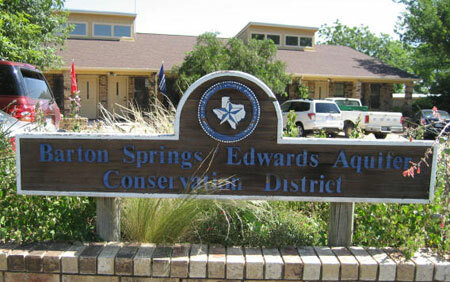 Irrigation: solely for pools, wet/amenity ponds, golf courses, large-scale landscape, nurseries, green houses. Nonexempt well owners should submit the two-part application form before September 19, 2015. District staff will review and process the Temporary Permit (Part 1) of the application within 30 days. Once a Temporary Permit is issued with a volume, the Permittee is responsible for payment of production fees assessed based on the permitted volume. 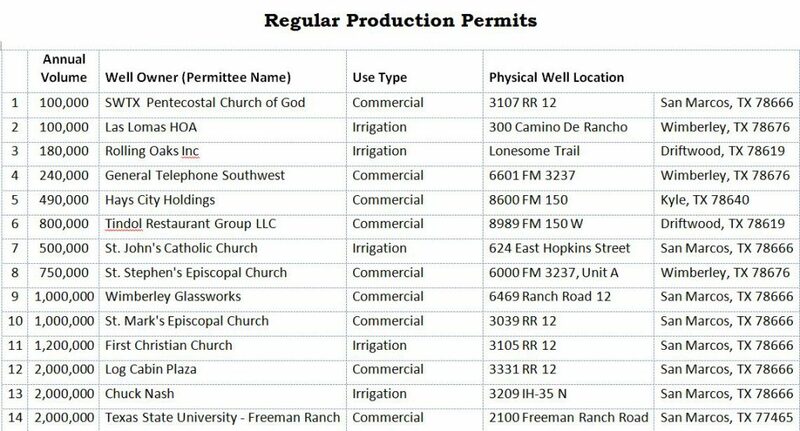 During this timeframe the District will continue to process the Regular Permit (Part 2) of the application.